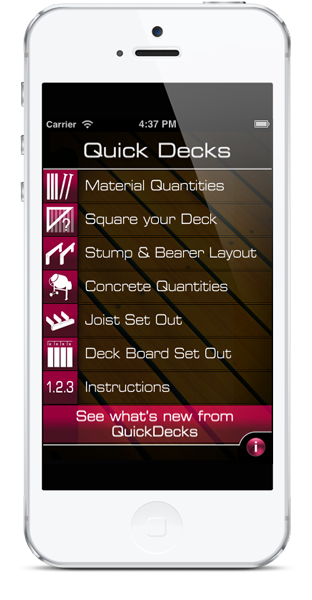 Designed by the team from the QUICK CHIPPY app, to take the annoying maths out of your deck building project. • And a step by step set of instructions and diagrams to help you through the building and estimating process. IT’S SO SIMPLE TO USE! 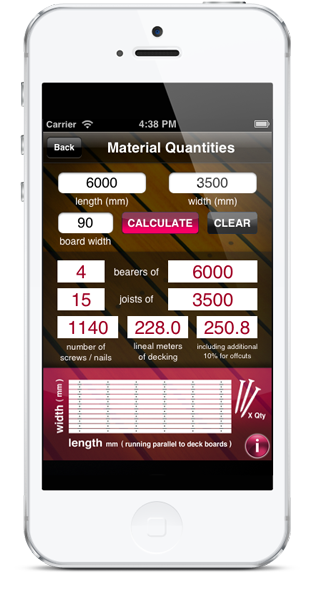 Find out the material quantities for all of your timber, as well as your screw quantities by simply entering the length and width of your deck. Square your deck with ease! 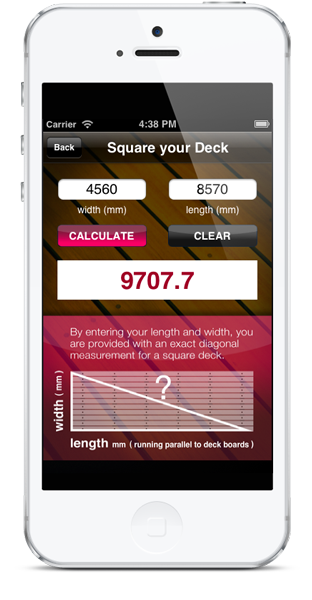 Enter the width and length of the deck and receive the diagonal measurement to the exact mm. 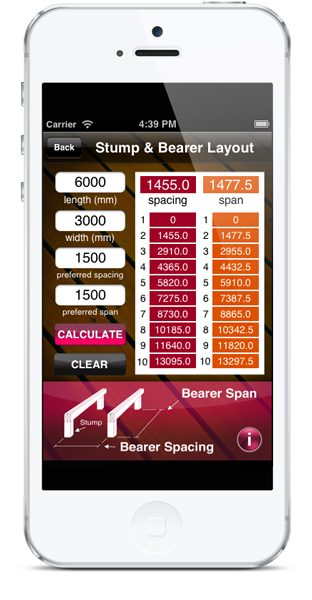 Enter your preferred bearer spacing, (distance between the bearers) and preferred bearer span (distance between stumps along the bearer) and Quick Decks will give you even measurements for your stump and bearer set out, based on the length and width of your deck. 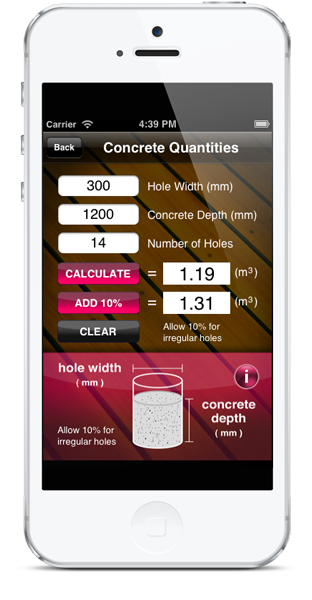 Can you never remember that pi something, equation when working out how much concrete you need? All you have to do now is type in your hole dimensions and how many holes you have, to receive your answer in metres cubed, ready to be ordered. 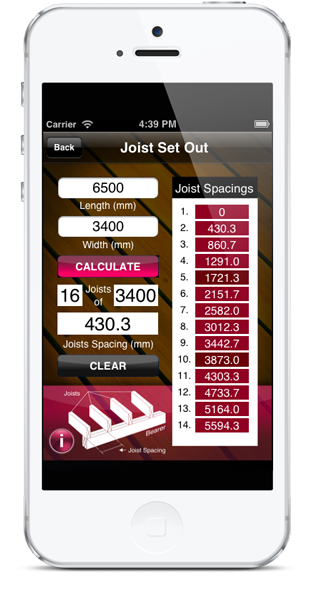 The joist set out calculator will give you even measurements for your joists, ensuring the screw lines in your deck are neat and evenly spaced. 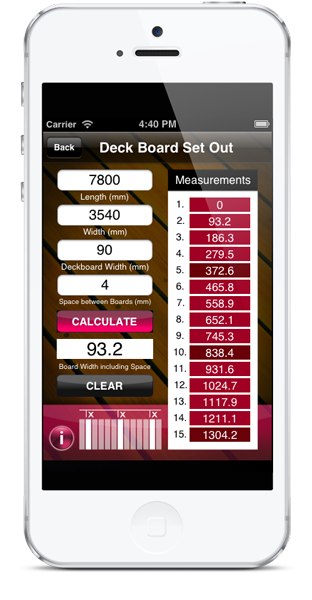 The deck board set out calculator provides you with a set out list for the deck boards and easy to follow instructions for that perfect finish. 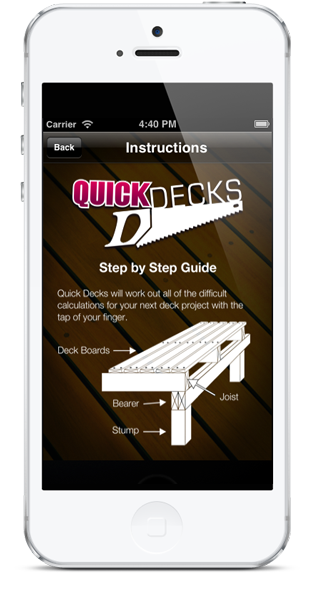 Quick Decks has easy to follow, step by step instructions to make your deck building project simple as well as perfect!